Exciting news if you’re looking to log in to The 5 Keys To Distance! 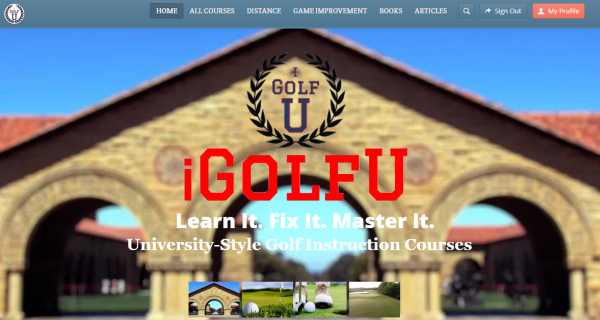 You can now find your training program at www.iGolfU.com – the new home of all my online training programs, podcasts, books, downloadable practice templates, training aids, and more. I’ll send you a coupon code so you can access The 5 Keys to Distance free of charge. Only fair since you’ve been such a fantastic long-time student. Make sure I have your full name and the correct email. You may also want to include your user name to help with the lookup function (please do not include your password). Just let me know that you are looking to access the course at iGolfU. Once you have the coupon code go the the course and select Add to Cart. On the checkout page enter the coupon code I’ll send you and hit ‘apply.” Your charge will be reduced to zero. My 5 Keys To Distance © 2019. All Rights Reserved.